With back to school right around the corner for many of us, we are all looking for ways to be efficient. There is so much to be done at this time of year that it can be overwhelming. 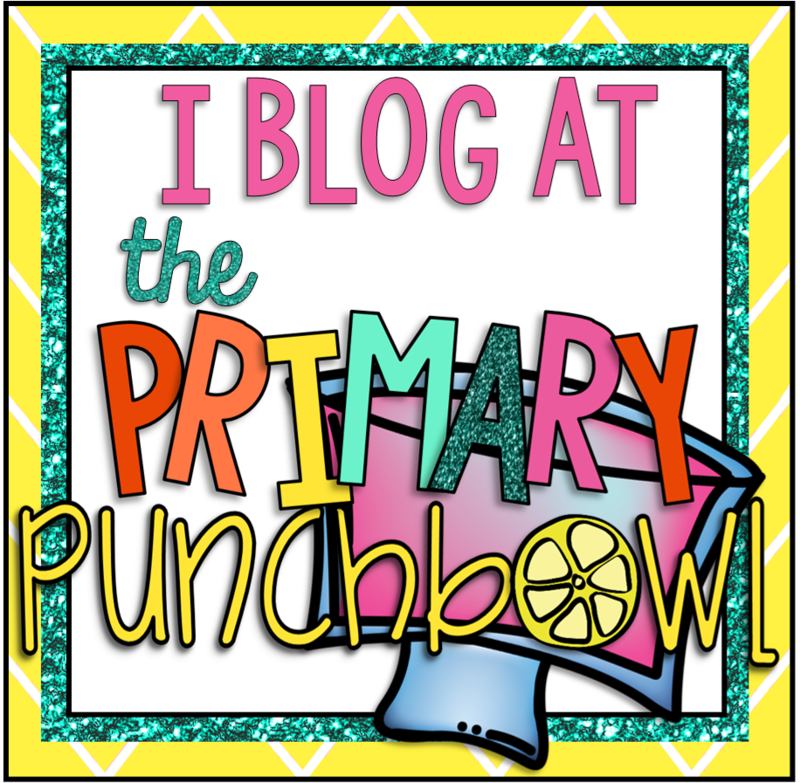 Today, I'm joining Hanging Around in Primary & Pop Into Primary for the latest #littlefishteacherblogger link up! I always put my class list on the back of my teacher badge. 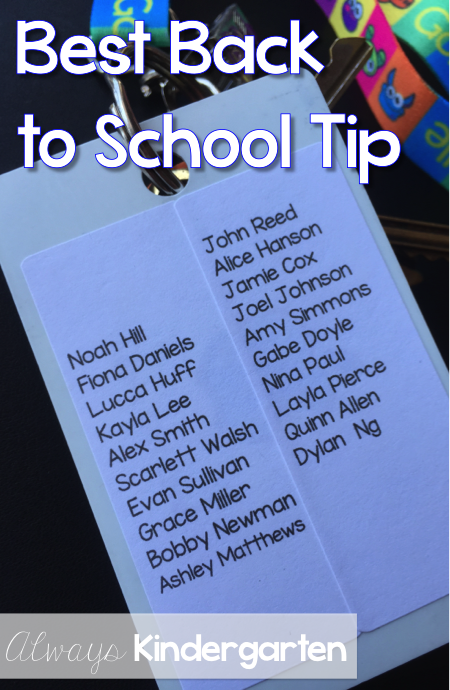 It's great for line order and to make sure you have all of your kiddos when transitioning to different places at the beginning of the year! My biggest fear has always been that I could lose someone else's child. GASP! Having my list at hand helps me keep my sanity when I'm counting my students and the number doesn't seem quite right. 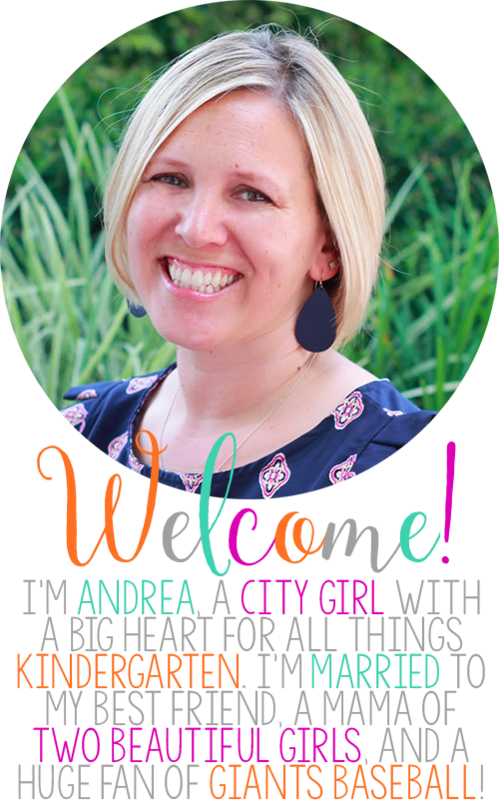 We've all had those panic moments when we're not sure we have every one, especially during the first few days when we are getting to know our new students. I always leave room to add names of students who may join us later in the year, too. 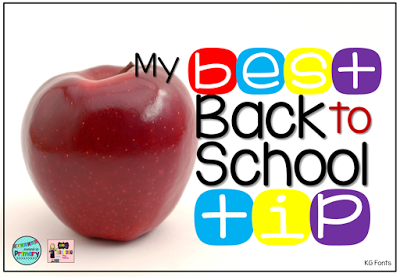 Now head over to Hanging Around in Primary or Pop Into Primary to see what other tips have been shared! That is an awesome tip! I have the same fear with first graders too so keeping a list close at hand (or around my neck :) ) is a great idea. Ohhhh! I like it!! I will definitely do this next year! Thanks for sharing!! I love this idea!!! Thanks so much! I definitely have to do this for this year! Thank you!